Palmer Station Pier Replacement Design/Build RFP | R&M Consultants, Inc. Originally built by U.S. Navy Seabees in 1967, the Palmer Station on Anvers Island, near the tip of the Antarctic Peninsula, will once again be under construction. 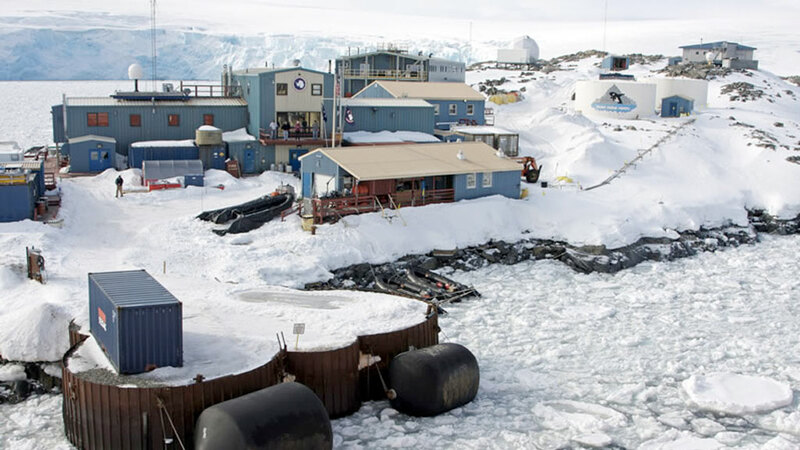 Leidos, prime contractor for the National Science Foundation’s U.S. Antarctic Support Program (USAP), provides logistical and base operations management and support to the USAP. The program enables universities, research institutions and other nation’s programs to conduct valuable scientific research in the region. R&M CONSULTANTS, INC. (R&M) is working under contract with Leidos to provide engineering design services for a pier replacement at Palmer Station, one of the driest, coldest, windiest and emptiest places on Earth. R&M was selected for our expertise in remote, cold-climate pier design and is currently working on a 35% Design and a design/build RFP. The project is planned as part of a multi-phased reconstruction effort to replace the pier and modernize facilities at Palmer Station, which will better serve the two primary ice-class vessels that service the station and facilitate movement of containerized cargo from the pier to upland facilities. 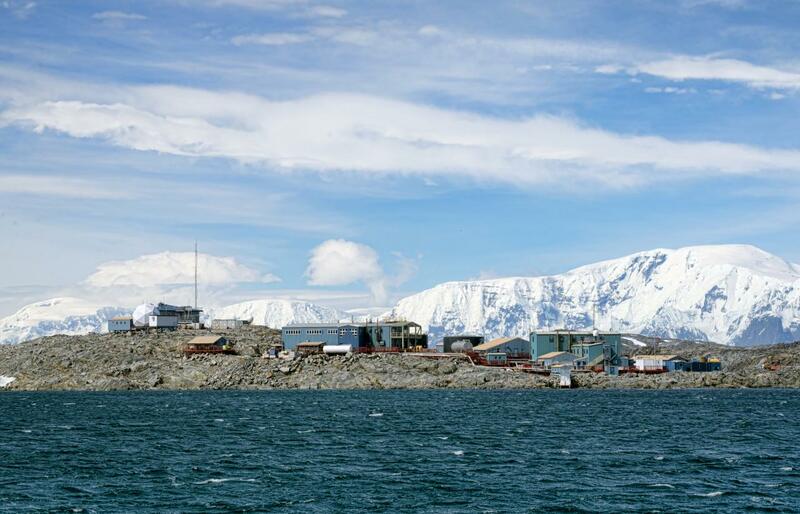 It is the smallest scientific research base of the three bases in Antarctica that USAP operates. While the project to replace a single pier is relatively small in scope, it is complex due to the significant ice and seismic considerations, logistical and environmental constraints of working in Antarctica, and the need to minimize impacts to the ongoing scientific operations at Palmer Station. Winter at Palmer Station, Antarctica. The existing facility, a steel sheetpile cofferdam bulkhead backfilled with gravel and cobble, will be demolished and the new pier constructed in its place. Services provided to the pier will include fuel, potable water, seawater, shorepower and lighting. Design challenges include steeply sloping shallow bedrock (no overburden), sheet ice, remote location, short construction season and cleaning imported fill material sufficiently to prevent introduction of invasive species to the sensitive habitat. The construction budget is impacted by the high cost of mobilizing equipment to this site. The alternatives analysis found the alternative most likely to be completed within a single open-water season was preferred, from both a cost of mobilization and least impacts standpoint. The resulting preferred alternative is a pier consisting of a steel pipe-pile supported pre-cast concrete deck structure with energy absorbing fender systems, armor rock wave protection for the adjacent boat launch ramp and a mooring dolphin. R&M Staff Involved: Kim Nielsen, PE; Duane Anderson, PE; Steven Lewis, PE; John Daley, PE; Buzz Scher,PE; Kristi McLean, LEED AP BD+C, CESCL; Brian Mullen, PE; Abe Schmidt; Josh Zellmer, PE; Jean Cumlat, EIT; Hank Brinker, PLS, CFedS; Ben Holmstrom, LSIT; Kevin Robar, LSIT; Chad Weiler, PLS; Bill Preston, PLS, GISP; Jim Robar, PLS; Patrick Hewlett; Mike Adams, EIT; Jessica Koloski, CAP; Sarah Hall. Electrical: Haight & Associates, Inc.